How in the world is the Manhattan Project connected to cheese? Blue mold! Don't sugar-coat it! Caramel flavor in cheese can be sweet indeed! Lights! Camera! Cardboard! Join us while we shine a light on this popular defect. Smokin! No not you, the cheese of course! Some basic chemistry of smoke and cheese. A topic that is barely mentioned in published scientific literature, let's go! Ever get called a square? Wear it as a badge of honor. Dairy math is where it's at! What do you get when you heat whey with some acid? A fun time for sure. Sounds like something that would be under the purview of Mr. Miyagi, doesn't it? Want to learn about the chemistry of Fondue? More like FUNdue, am I right?! Orange, yellow, white! Oh my! Understanding the color of cheese is so damn fly. Pound for pound, a pound of cheese is ten pounds of milk. Is that right? Nothing like waking up and looking at a fine scatter plot first thing. Nothing like taking a bite of cheese and it tasting like a mouthful of dirt. When a cow is milked matters when it comes to milk quantity and quality. In order to understand cheese, one must first understand milk. Moo! Cheese is made from milk, so it makes some of them should taste like it too. Sweet like sugar? Not anymore! All thanks to microbes and glycolysis! What do you call a cheese without any eyes? Blind! Seriously, no joke. Baa! Baa! Baa! What makes sheep cheese sheepy is nothing to balk at. Hey, wanna drop some acid? Let's get our pH chemistry straight first. A less mature person would make a "cut the cheese" joke. I'm no such person. A classification chart organizing cheeses by how they are made, not by firmness. How would a cheese maker organize cheeses? By how they're made probably. Why do some aged cheddars smell like boiled eggs? Well sulfur of course! 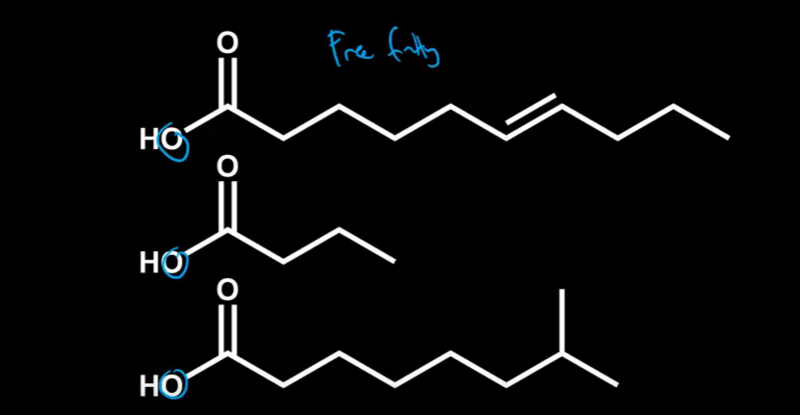 Free fatty acids are an end-product of fat breakdown. Goaty and rancid, oh my! Sprinkled, submerged, or scrubbed. It's a good thing salt is added to cheese! How will the scale tip when a cheese maker alters the protein and fat content of milk? Does milk got you hot under the collar? Lucky for you, unlucky for microbes. From melty goodness to hard-as-a-rock, what causes cheese to melt and stretch? Put the squeeze on milk in order to prevent cream seperatation, but what else? Blue cheese has a unique aroma that is between perfume and cough syrup. Goat cheese has a certain je ne sais quoi that we call a "goaty" flavor. Bloomy rind cheese often smells like the forest floor. Why is that so? Provolone and feta can sometimes smell like baby vomit. In a good way! Bark-wrapped cheeses can sometimes smell like trees. Who'd a thunk it? What kind of lingo does a Wisconsin licensed cheese grader need to know? What causes coagulation? Coagulation enzymes of course! But there are so many. Perhaps the most used flavor descriptor for cheese. What does it mean? Coagulations! Turning something from liquid to solid is no easy job at all. Calcium isn't just for your teeth and bones! It can be for cheese too! Grainy, crumby, mealy, coarse, a horse is a horse of course of course. Hold me, love me, squeeze me. Put the squeeze on curds to remove whey. Who knew proteolysis and dropping acid could affect cheese so much? Always wanted to see the flavors of cheese in wheel form? Look no further! Why does sharp provolone smell like baby vomit? Why is sharp cheddar sharp? Cheese is alive! And not just in the poetic sense, learn about cheese microbes. A basic overview of what's in cow's milk. Milk sugar, protein, and fat. What gives certain cheeses that distinctive crunch: calcium lactate and tyrosine crystals. Receive updates and cool cheese science facts! Cheese Science Toolkit by Pat Polowsky is licensed under a Creative Commons Attribution-NonCommercial-ShareAlike 4.0 International License. All information provided on this web site is provided for information purposes only. Although every reasonable effort is made to present current and accurate information, the author makes no guarantees of any kind and cannot be held liable for any outdated or incorrect information. The author of Cheese Science Toolkit assumes no responsibility or liability for any consequence resulting directly or indirectly for any action or inaction you take based on or made in reliance on the information or material on any Cheese Science Toolkit page or download. Any information to external web sites linked to Cheese Science Toolkit's web site is provided as a courtesy. They should not be construed as an endorsement by the author of the content or views of the linked materials.